“Books are a uniquely portable magic.” – The Small Things. There is something uniquely special about January that inspires newness. New year. New adventures. New goals. This year I have really jumped on board the goal setting train. I think it is because as a student my goals were, in a way, pre-set: “Get into a good university”, “ace all classes”, “graduate”, ect. As I am no longer a student I could wake up, go to work, sleep and repeat for the rest of my life, but that is such a hollow existence. Without goals, where are you going? Absolutely nowhere. So for the first time in my memory I am setting goals, writing them down, sharing them with my friends and family (and you guys) and I am following through. Read about my 2015 fitness goals here. 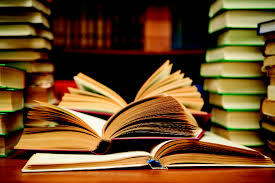 If you have read my about me page you will know that I studied English Literature in University. Therefore, I did a lot of reading. The sad part is that at some point I stopped enjoying the books and the stories, it became work. I was never allowed to just appreciate a good book. I always had to analyze and examine, and I was sick of it. So when I graduated I stopped reading. I gravitated towards movies and television. Sometimes I would pick up the occasional Harry Potter book, a chapter here and there, but I wasn’t reading. Then, about a year ago my dad introduced me to an action novel author by the name of James Rollins. I fell in love with his characters and I loved tagging along on their wild adventures. It was wonderful to be reading again! However, I realized recently that since then action novels are the only thing I’ve been reading. There are so many genres, so many different types of stories that I’ve been missing out on. So this year I am challenging myself to expand my literary horizons. I am doing this by setting a goal to read 50 books in 2015! The catch, no more than 5 books in the same genre. I’m keeping track of my progress using the goodreads app. 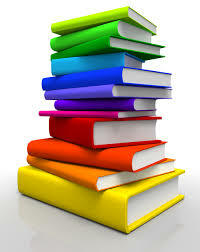 It is a great tool for reading reviews, categorizing books and monitoring progress. My friend Kim and I are also starting a book club! She works for a publishing company, so she is really well read. Together, we decided that books are always better after you exchange opinions with someone. So we have invited some friends to join us, she picked the first book and I am handling the more administrative things such as selecting a date and a location. The first book on our list is The Wind-Up Bird Chronicals by Haruki Murakami. Lucas’s mum loves his books, they are described as fantastical realism and very non-linear. Obviously this is going to be very different from my action novels but that is exactly what I wanted. The first meeting isn’t until late February but I’ll be sure to let you all know how it goes! Have a book that you think I should read? Share in the comments!